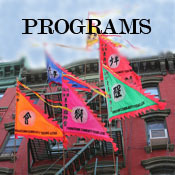 The question is always asked: How did the Chinatown Community Youths Club and The Chinatown Community Young Lions Inc. come to be? Well it all started with a flag holder. 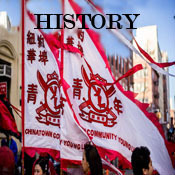 I marched in my first Chinese New Year’s parade when I was 8 years old. It all happened suddenly; a Lion group association was starting their parade when I was literally grabbed while walking past the group heading to my parent’s gift shop on Elizabeth Street. An old man held my arm and said something in Chinese, I did not understand, but a teenage boy with the group was standing witness and came over to interpret for me. He told me to hold this flag banner. It was a flag banner for that association. I was excited and scared, but jumped at the chance to participate. 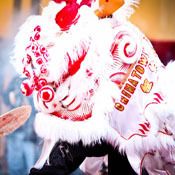 I have always wanted to participate in a Chinese Lion Dance group, but all the established groups were either associated or sponsored by Chinese family associations, or martial arts schools. Back in those days there was a prejudice against American born Chinese versus Chinese born in China and Hong Kong. 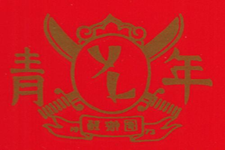 I felt that had I joined a Chinese family association being an American born Chinese I would be tasked to do other things in support of the Lion group like hold a flag banner and not be allowed to play the drum or perform the Lion head. So, I did the next best thing. 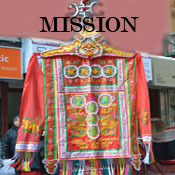 I started my own club with the support of my family, friends and some influential businessmen in Chinatown. 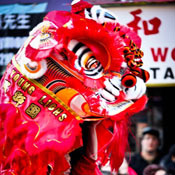 My goal was to make Lion dance available to anyone regardless of their ethnicity who wanted to participate and learn the traditions of Asian culture and customs without being obligated to one of the Chinese family associations or martial arts schools. 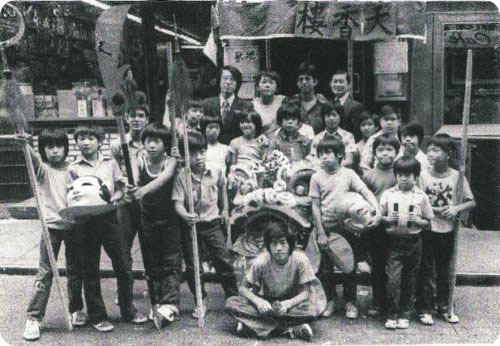 The Chinatown Community Youths Club and Chinatown Community Young Lions Inc. (The Club) was founded in 1973, in the basement of a Chinese restaurant and my parent’s living room apartment. 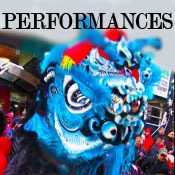 The Club name was homage to another Lion dance group active in the 1950’s and 1960’s called the Chinatown Community Club. Original members of that group were the fathers and uncles of some of the early members of The Club. I had a few uncles that were members of CCC. Had they stayed together there may not have been a CCY or CCYL. Let me take you back to the beginning. 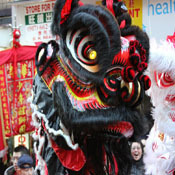 My parents were very supportive of me in pursuing my interest in Lion Dance and would encourage me to perform in school plays and assemblies where I could participate with other students in Lion Dance. I came to know a restaurant owner named Peter Wong. He owned the Mandarin Inn restaurant at 14 Mott Street. Peter was a restaurant owner / chef and was quite the showman who dabbled in some sleight of hand magic which he would perform from table to table in his restaurant to entertain his diners. 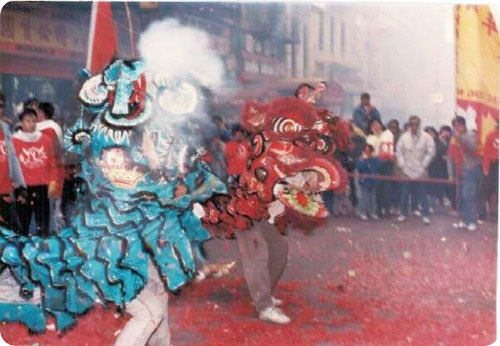 During the 1972 Chinese New Year festival there was a lion drum set up in front of the Mandarin Inn restaurant with a waiter hitting the drum trying to drum up business. I asked if I could play on the drum and started playing the more familiar lion dance beat. Moments later Peter comes rushing out of the restaurant thinking a Chinese Lion Dance group was coming down the block. He saw me and started laughing. He invited me in to the restaurant for a soda. He had a lion head displayed inside the restaurant and said “I played well for a boy of my age”. I told him “I really liked playing the lion dance” and he said I was welcome to come back and play with the equipment anytime. Later that evening a fire broke out in the kitchen of the restaurant. Soon folks started to panic and smoke was filling the dining hall. I quickly ran to the corner fire box and pulled the alarm. In minutes the fire trucks came and because of my quick action the fire was contained to the kitchen with minimal damage. Peter was very grateful to me for acting so quickly and asked if there was anything he could do for me in return for helping him. I asked him if he could help me start a lion dance club. On my 9th birthday, Peter had purchased a brand new lion head, drum and equipment. 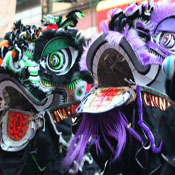 I would organize my brother, friends and classmates who were all like minded and shared the interest and passion for the chinese lion dance. This would be the nucleus and the beginning of The Club. Peter introduced us to the Chinatown Restaurant Association whose members were other restaurant and business owners from Chinatown and the surrounding area. 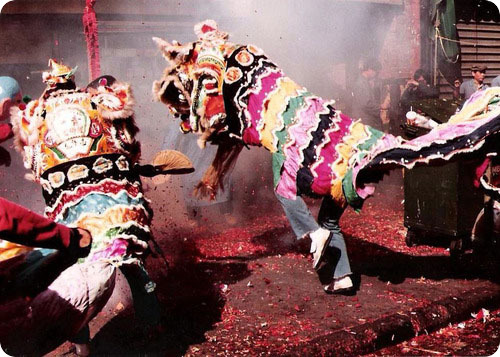 We performed the chinese lion dances for them at their annual dinners and that is how we became known to many of the businesses in Chinatown. Peter sponsored us for a number of different performances and events and my mother Valerie L. Tom a third generation Chinese American would support us and help coordinate our activities. Other member’s parents and volunteers would donate their time or resources like designing our uniforms, building and mainaining equipments and providing transportation to events. Through her network of business and political affiliations we were able to perform for other venues, businesses, and at political fund raisers. We have performed for three Presidents of the United States, two New York Governors and five New York City Mayors, as well as local New York City Council members and District Leaders. Over 40+ years have passed since I carried that banner and never would I have imagined how important and critical this organization has been to the community and most importantly to all the youths that have passed through our doors. 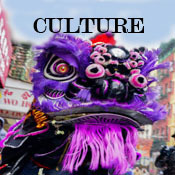 The Club has been a “safe harbor” for many who wanted to learn and identify or celebrate with us our Asian culture. 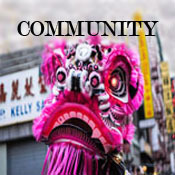 For many it was a sense of belonging, and to others it was a deterrent to gang activity and violence that plague the Chinese community through the 1970’s and early 1980’s. We helped hundreds of kids many who were “latch key” kids whose parents were both working 14 hour days through some of their most difficult challenges that face urban inner city youths. Many of our members have grown up and moved on to be successful adults in all fields of profession. Many have come back with their children and continue to participate and support our activities throughout the year. We were then and still now that “safe harbor” and all are welcome. Thank you to all that have supported The Club through these years and to all that continue to stay in support of The Club, without them, the support of our families and without you, there would be no club. Best wishes for a healthy, happy and prosperous year.